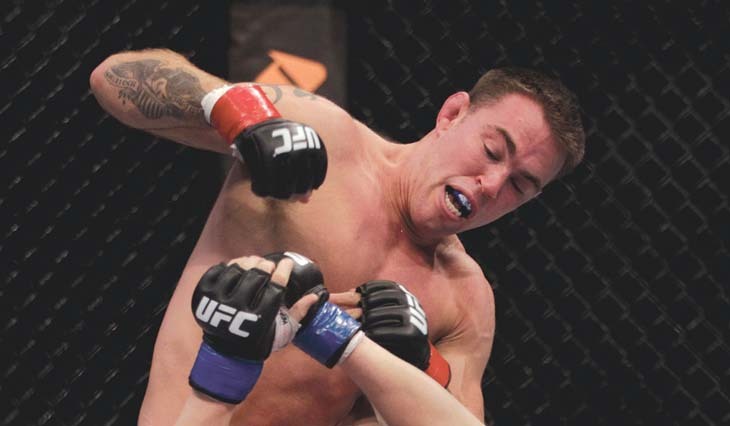 Jake Shields narrowly edges hometown favorite Demian Maia. The two fighters showcased their exceptional grappling skills as both of them traded sweeps and dominant positions all throughout the bout. At the end of the fight, two judges favored Shields with scores of 48-47, 47-48 and 48-47. The major upset of the night came in the supporting bout of the evening. Kim is not much of a huge underdog coming into the fight. However, a lot of MMA fans did not expect him to win in a devastating fashion. In that bout Dong Hyun Kim stunned the Brazilian crowd with a second round knockout over Erick Silva. The Korean was losing the fight until a left hook that caught Silva rendered him unconscious as he was crashing into the mat. Dong Hyun Kim took home the $50,000 Knockout of the Night Bonus. “I think it was a bad fight, I had a bad weight cut which was my own fault. I disappointed the UFC, but I’ll make up for it. UFC president Dana White also noticed the lackluster fight; he even twitted a joke about Silva’s performance saying that the Brazilian had Jerry’s Ice Cream for his pre-fight diet. The only light heavyweight bout of the night has featured nonstop action throughout the 3 rounds. Fabio Maldonado came out as the victor after the final bell despite losing the octagon control for the most part of the bout. The win gave Maldonado his first octagon winning streak albeit the decision is a controversial one. The second featured bout of the evening is the quickest and perhaps the one that generated more buzz after the event. The fight between Palhares and Pierce marks the welterweight debut of the Brazilian submission ace. Palhares finished Pierce with his patented heel hook in just 31 seconds of the opening round. However, the Brazilian was denied of the Submission of the Night bonus for failing to let go of his submission after the initial referee stoppage. It was later announce that the UFC will give him an additional punishment for his unsportsmanlike behavior. A bantamweight clash between Rafael Assuncao and T.J. Dillshaw opened up the main cards of the night. The evenly matched fighters provided the fans with back and forth action for the entire 15 minute fight. Rafael Assuncao took the win with a split decision in a bout that earned the Fight of the Night honors.